There are 3 reader responses to "Elephants are Self-Aware". This whole topic is covered in the March 2008 issue of National Geographic as the cover story. 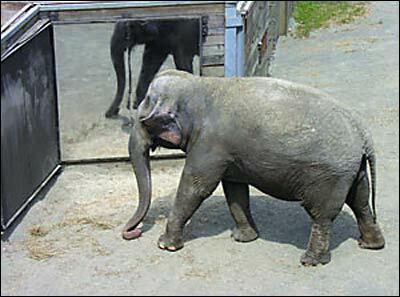 Another Asian elephant from the National Zoo has also passed a similar mirror test, according to the article. Very worth a look if you’re interested in this, and I think it might be important to animals everywhere that we BE interested in this. I was very happy to see this post… Elephants are wise and beautiful creatures..